Information about growing your own food, sustainable local food production and reducing food waste along with further helpful information and resources. If you don’t have a garden you could join in some of the many community growing projects running locally. South Gloucestershire Council own and manage 350 plots across nine allotment sites and there are also many others not owned by the Council. There is growing demand from local people wishing to turn small pieces of land into orchards, where people of all ages can come and enjoy the open space and collect the fruit – we support eligable groups to set up orchards in their area. There are a number of local community orchards already established, supported by a network of local people who help manage them, you can see the full list and further information by clicking below. Discover Patchway is your outdoor guide to Patchway. The map shows the parks, playgrounds, nature areas, allotments and other outdoor spaces that you can discover and enjoy. Grimsbury Farm covers an area of just over 20 acres there’s plenty to explore at Grimsbury Farm, including an array of animals and out-buildings, a duck pond, nature walks, play area and café. Patchway Green spaces project works to make the green spaces of Patchway beautiful and useful. There are five different places to grow and discover. Street Goat is a community project whereby goats are grazed and managed by the Street Goat team. It helps develop biodiversity, management of sites and food production. Sims Hill Shared Harvest are a community supported agriculture scheme. They use natural growing methods and permaculture principles to produce high quality vegetables and support innovating social action through land-based projects. The conservation volunteers provide a mixture of practical projects and family-friendly events, both during the week and at the weekends. Food is a great excuse to get together, whether it’s for a special occasion or not. Food can say a lot about who we are and where we come from as well as getting us talking with friends and neighbours. Apple Days are a celebration of the variety of apples and the richness and diversity of landscape, ecology and culture. 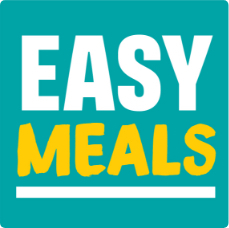 Curry & Chaat have a simple aim: to encourage get togethers with friends, enjoy a delicious curry and raise money for the Mental Health Foundation. The Big Lunch brings millions of people together across the UK to share food and fun on the first weekend in June every year. 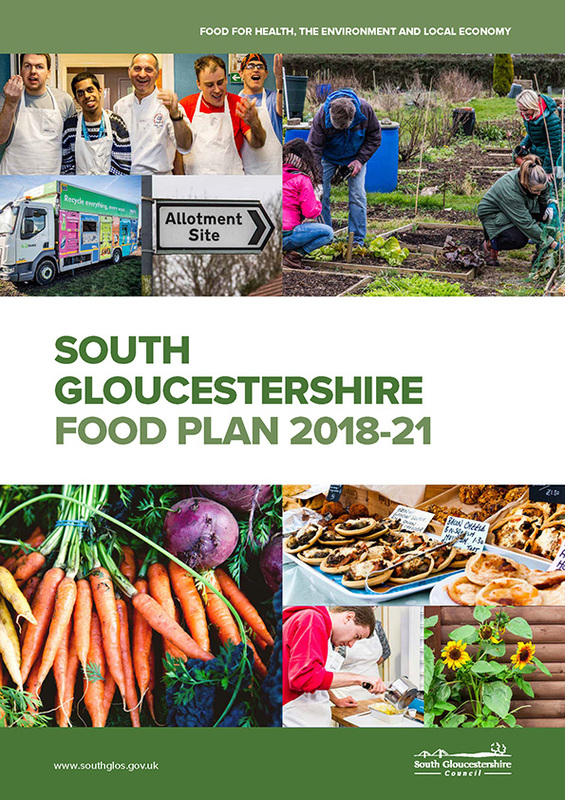 The South Gloucestershire Food Festival launched in 2018 and is a celebration of all things food. In South Gloucestershire around 1,000 tonnes of food waste is thrown away every month with non-recyclable black bin waste. Disposing of food with black bin waste costs a lot more than recycling it. If you recycle your food waste using the food bins it goes to an anaerobic digestion plant which converts it into fertiliser and electricity. Find out more about recycling food waste on the South Gloucestershire Council website. Community cafes are energetic hubs in the centre of our communities. Brooks café (Patchway) serves good food in a friendly environment, at the heart of the community. Whenever you buy a product bearing the Fairtrade Foundation’s Fairtrade Mark you know that the producers have received a fair, stable price for their produce, with an extra ‘social premium’ to invest in their local communities. South Gloucestershire Fairtrade Group is proudly supported by the council and we renewed our Fairtrade District status in October 2018. We have also been working hard to promote Fairtrade products across our catering service and outlets and continue to support schools and businesses to use and promote Fairtrade.